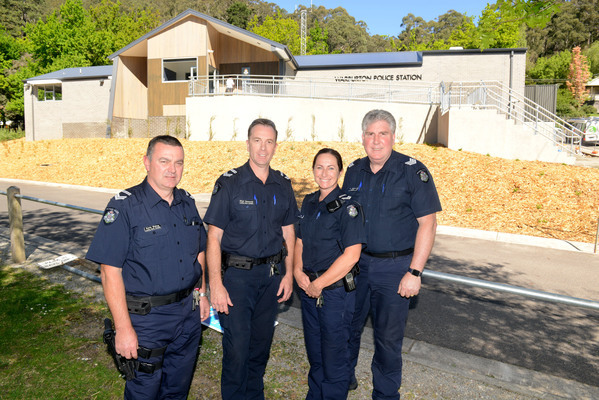 From left, Leading Senior Constable Kevin Bishop, Leading Senior Constable Brett Hanscomb, Leading Senior Constable Silvia Jarvie and Sergeant Tom Wilkinson. 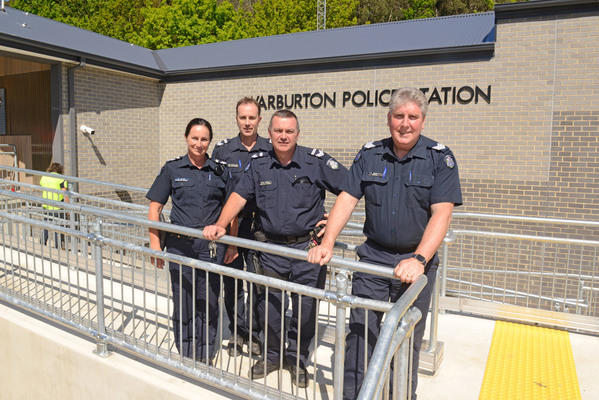 The new Warburton Police Station will be officially opened by Northern Victoria MLC, Jaclyn Symes, on Monday 29 October at 12pm. The station is built on the same site as the old one but the best view in Warburton is about all the two stations will have in common. 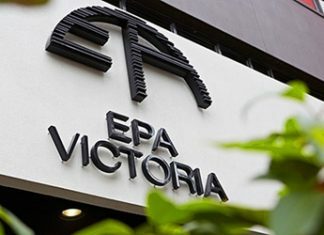 The old building was variously described as ‘out-dated, dilapidated, sub-par and not fit-for-purpose’, prior to its demolition in late 2017. Amid builders hurrying to finish off, Warburton Sergeant, Tom Wilkinson, said his team will be moving in on 24 October. Police service levels will not be changing and Warburton will still be designated a ’16-hour station’, with a team of five officers supporting Sergeant Wilkinson. “The best way to access services in an emergency is always through triple zero. 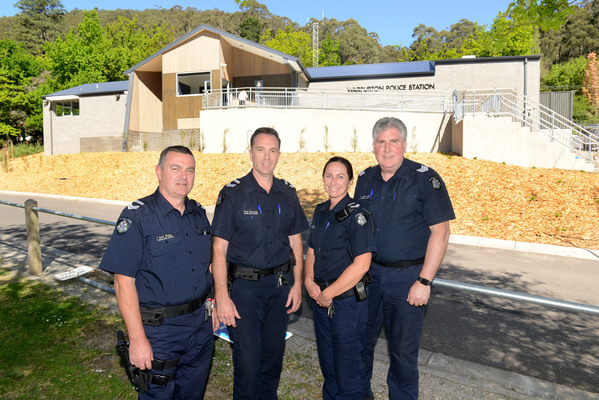 We work in tandem with Yarra Junction station and we are well supported with resources in the Eastern Region when needed,” Sergeant Wilkinson said. With that, LSC Silvia Jarvie pushed the photo shoot along so she and colleague, LSC Brett Hanscomb, could take off to an urgent call for they had just received.